Lee’s worked at Latics since 2011 and is a really down to earth guy. 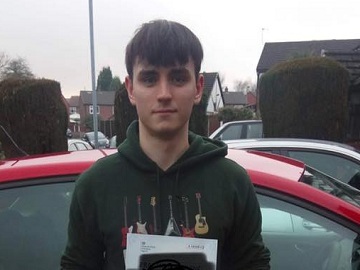 He has enormous success with his learners and has helped absolutely loads achieve their goals of passing their test! 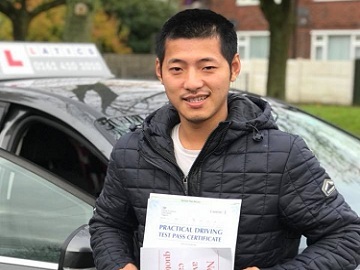 With his honest, helpful and encouraging style of teaching, you’ll be sure to pass your test with Lee too! Dream car: KITT from Knight Rider! 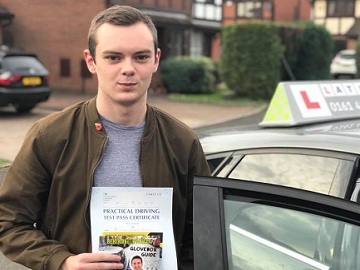 Lee gives driving lessons in: Droylsden, Ashton-under-Lyne, Bardsley, Blackley, Chadderton, Denton, Dukinfield, Failsworth, Fitton Hill, Gorton, Harpurhey, Hathershaw, Hollins, Hollinwood, Hyde, Limeside, Longsight, Manchester, Middleton, Miles Platting, Moston, Newton Heath, Oldham, Reddish, Royton, Shaw, Stalybridge, Stockport and Withington. 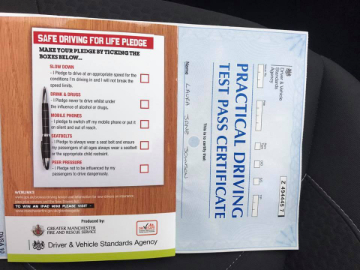 “I am glad I switched to Latics Driver Training having passed my test. The only regret after my experience with Latics is not having done so a lot sooner than I did. 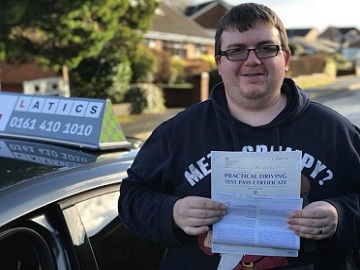 Lee was well disposed towards my driving ability/experience (plenty of nerves and hysterics included!). He painstakingly explained everything, answered my infinite questions and was always positive despite my setbacks. As a result, I made plenty of progress and that in turn boosted my confidence to the point of actually enjoying driving. Lee was always reliable, easily accessible and very accommodating when it came to booking/rescheduling lessons (for which he was constantly punctual). 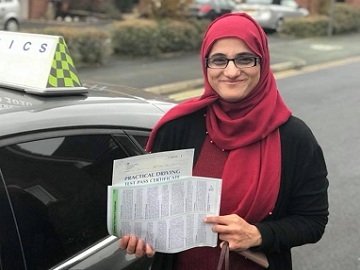 Amazing 1st time pass Sam! Well done 1st time pass Lorraine! 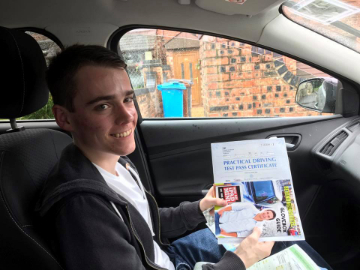 Fab 1st time pass Jake! Fantastic Laura, 1st time pass! 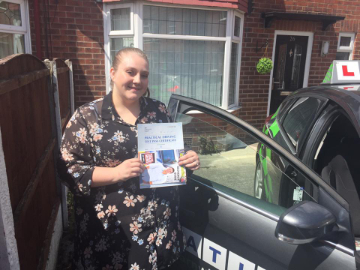 Fab 1st time pass Nicole!